A newly-approved, genetically modified potato will not be grown commercially in Canada this year. JR Simplot, the company that created the Innate potato, said Canadian approval came too late for farmers to plant them this season. 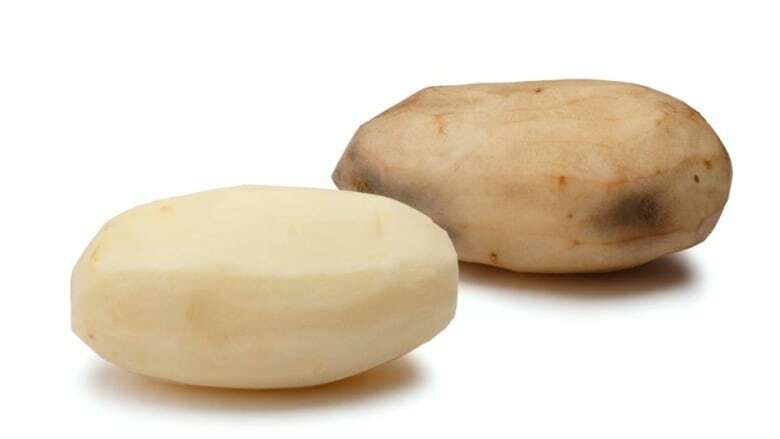 Health Canada and the Canadian Food Inspection Agency approved the potatoes in late March. "The late approval did not provide us with enough time to secure commitments from Canadian growers prior to the 2016 planting season," said Doug Cole, Simplot's director of marketing and communications, in an email to CBC News. Cole said Canadian may still see the potatoes in groceries stores this year. "It's still possible to export Innate potatoes into Canada," he wrote. To create the Innate potato, genes from wild and cultivated potatoes were added to a conventional potato. They resist bruising and black spots. This is a particular advantage for peeled potatoes, because the spuds won't turn brown after peeling. It is also a big advantage for farmers. 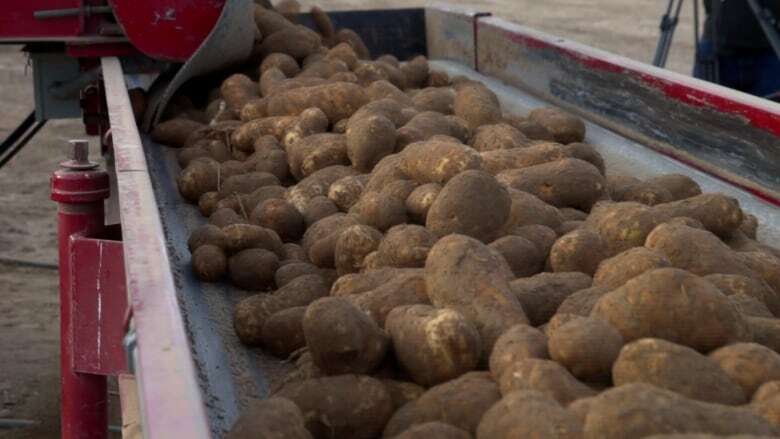 Test results showed farmers threw away 15 per cent fewer potatoes due to damage, which the United Potato Growers of Canada called "a big deal." JR Simplot is continuing to work on improving the Innate. Test plots of Generation 2 Innate potatoes are being grown on P.E.I. this year. In addition to the bruising resistance of the first generation, these potatoes are also resistant to blight. Growing these potatoes will allow farmers to use less pesticide on their fields. The company expects U.S. approval of the blight-resistant potatoes by the end of 2016, but expects Canadian approval could take a couple more years.